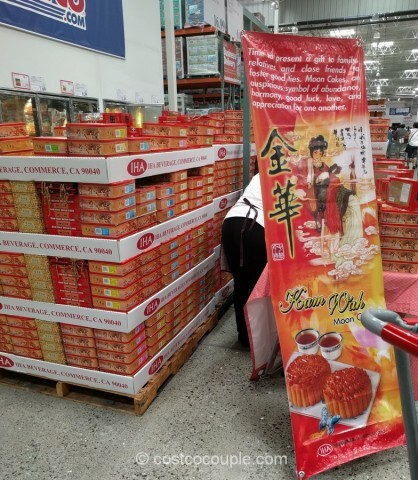 Kam Wah Moon Cakes are available at Costco again which means that the Chinese Mid-Autumn Festival must be fast approaching. This year, the celebration falls on September 15th, 2016. 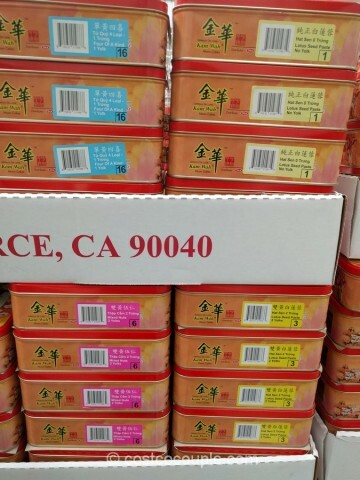 Like in previous years, a variety of moon cakes are available e.g. lotus seed paste with no yolk, lotus seed paste with 2 yolks, mixed nuts with 2 yolks, durian paste with no yolk, mung bean paste with 1 yolk, etc. There are 4 moon cakes in each tin. 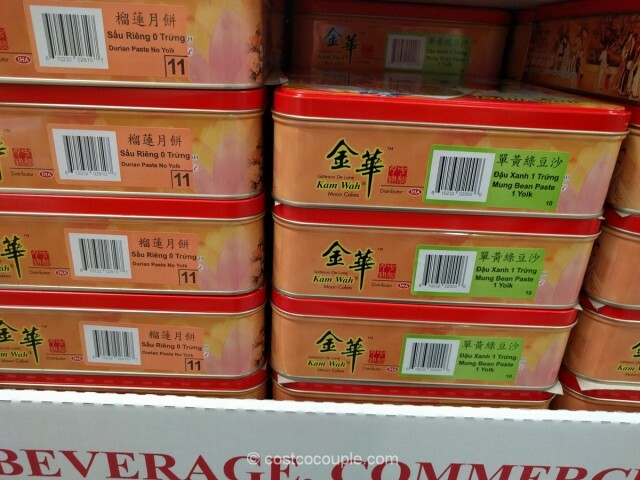 You can also purchase a tin with 4 different moon cakes in it. 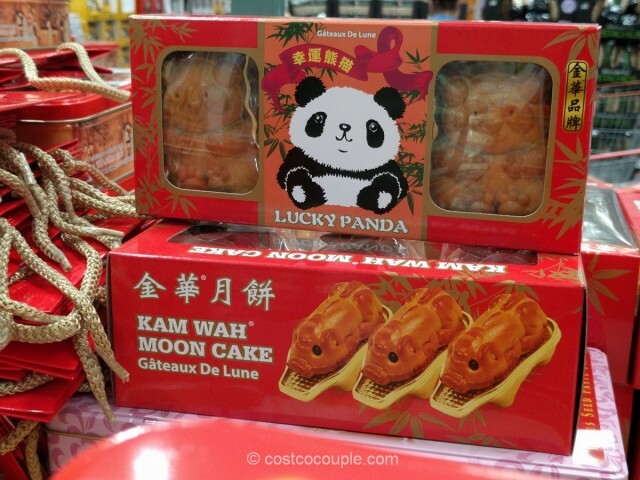 For smaller households, you can purchase a small box of “Panda” or “Golden Pig” moon cakes. 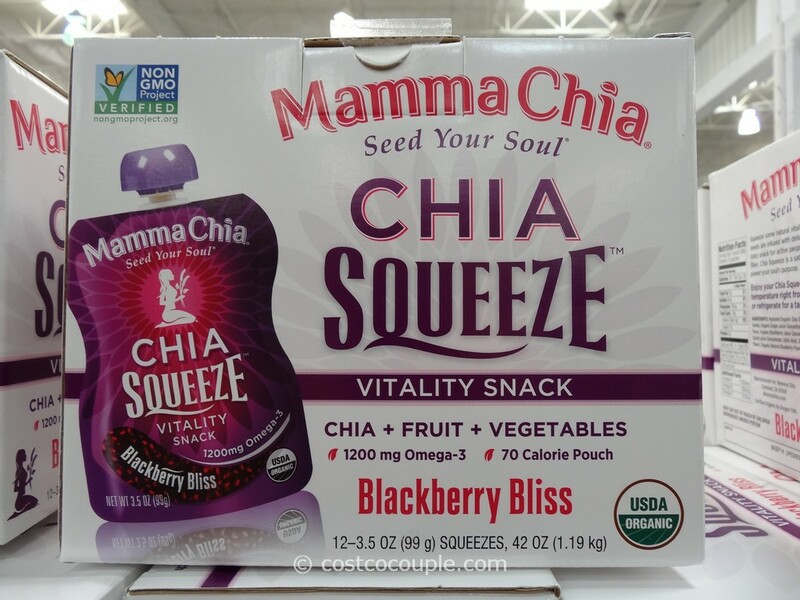 These have lotus seed paste in them. 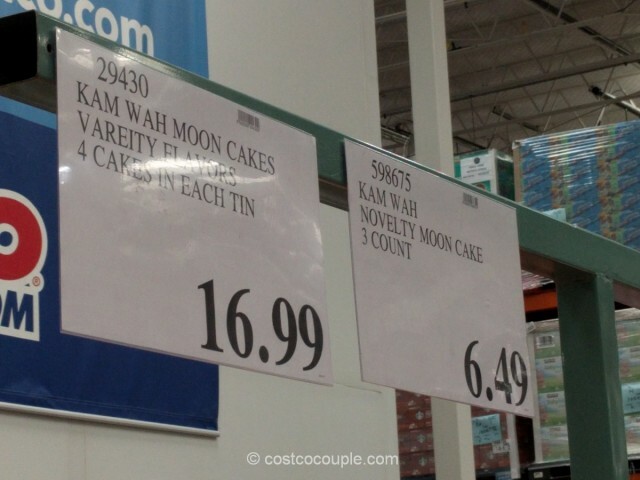 The Kam Wah Moon Cakes are priced at $16.99/tin (with 4 moon cakes). 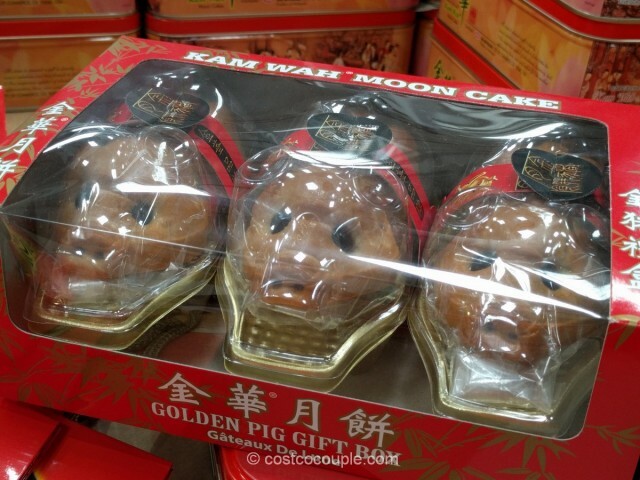 The Kam Wah Novelty (Panda or Golden Pig) Moon Cakes are priced at $6.49.